Last place in England to be invaded by foreign power! Teignmouth (TIN-məth) is a town and civil parish in Teignbridge in the English county of Devon, situated on the north bank of the estuary mouth of the River Teign about 14 miles south of Exeter. It has a population of 14,413. In 1690, it was the last place in England to be invaded by a foreign power. The town grew from a fishing port associated with the Newfoundland cod industry to a fashionable resort of some note in Georgian times, with further expansion after the opening of the South Devon Railway in 1846. 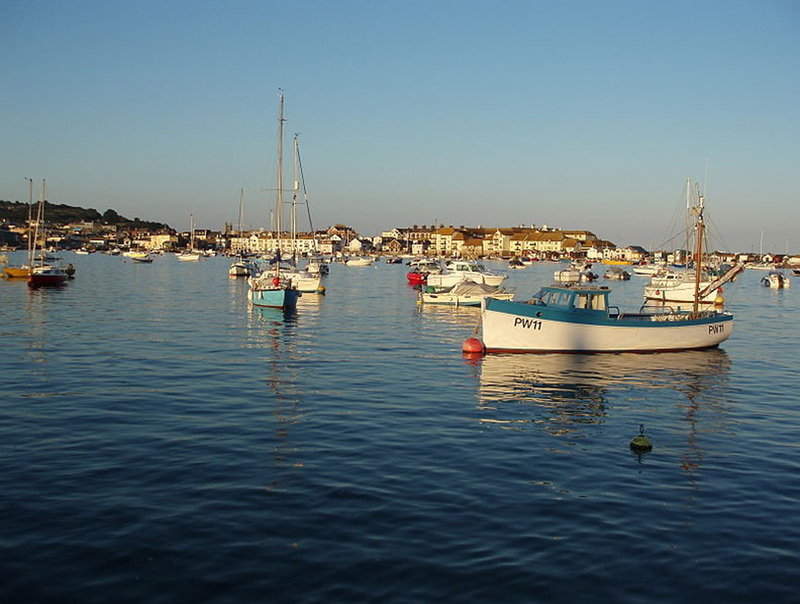 Today, its port still operates and the town remains a popular seaside holiday location. The first record of Teignmouth, Tengemuða, meaning mouth of the stream, was in 1044. Nonetheless settlements very close by are attested earlier, with the banks of the Teign estuary having been in Saxon hands since at least 682, a battle between the Ancient Britons and Saxons being recorded on Haldon in 927, and Danish raids having occurred on the Teign estuary in 1001. 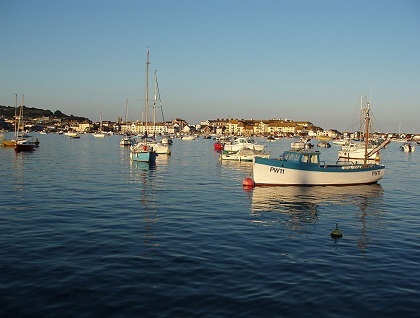 There were originally two villages, East and West Teignmouth, separated by a stream called the Tame, which emptied into the Teign through marshland by the current fish quay. Neither village is mentioned in the Domesday Book, but East Teignmouth was granted a market by charter in 1253 and one for West Teignmouth followed a few years later. The Tame now runs under the town in culverts and is only visible higher up the town as Brimley Brook, joined by smaller streams such as the Winterbourne (an intermittent stream, which flows only in winter or after heavy rain). Documents indicate that Teignmouth was a significant port by the early 14th century, second in Devon only to Dartmouth. It was attacked by the French in 1340 and sent seven ships and 120 men to the expedition against Calais in 1347. Its relative importance waned during the 15th century, and it did not figure in an official record of 1577. This may have been due to silting up of the harbour caused by tin mining on Dartmoor. During the 17th century, in common with other Channel ports, Teignmouth ships suffered from raids from Dunkirkers, which operated as privateers from Flemish ports. It is possible that smuggling was the town's most significant trade at this time, though cod fishing in Newfoundland was also of great importance. 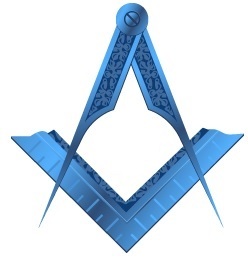 As a result The Crown issued a church brief that authorised the collection of £11,000 for the aid of the town. Churches from as far afield as Yorkshire contributed and the collections enabled the further development of the port. 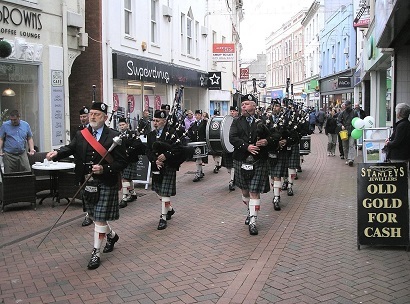 This was the last invasion of England, and French Street with its museum is named in memory of the occasion. In the 1600s and 1700s there are records of a windmill on the Den - an area that was then a large sand dune, and is now a grassy public open space near the seafront. By 1759 this windmill was demolished. In the late 18th century, privateering was common in Teignmouth, as it was in other West Country ports. In 1779 the French ship L'Emulation with a cargo of sugar, coffee and cotton was offered for sale at "Rendle's Great Sale Room" in the town. Teignmouth people fitted out two privateers: the Dragon with 16 guns and 70 men; and the Bellona, described as carrying "16 guns, 4 cohorns and 8 swivels". The Bellona set sail on her first voyage in September 1779, and was "oversett in a violent Gust of Wind" off Dawlish with the loss of 25 crew members. The Newfoundland fisheries continued to provide the main employment into the early 19th century and, fortuitously for the town, as the fisheries declined the prospect of tourism arose. A tea house was built on the Den in 1787 amongst the local fishermen's drying nets. The "Amazons of Shaldon"—muscular women who pulled fishing nets and were "naked to the knee"—were an early tourist attraction for male tourists. 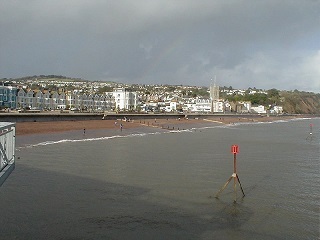 By 1803 Teignmouth was called a "fashionable watering place", and the resort continued to develop during the 19th century. Its two churches were rebuilt soon after 1815 and in the 1820s the first bridge across the estuary to Shaldon was built; George Templer's New Quay opened at the port; and the esplanade, Den Crescent and the central Assembly Rooms (later the cinema) were laid out. The railway arrived in 1846 and the pier was built 1865–7. A version of the legend of the Parson and Clerk dating to 1900 tells the tale of the Bishop of Exeter visiting Teignmouth and whilst being guided by a local priest, the devil turns them both to stone, which is seen in the form of two stacks. The First World War had a disruptive effect on Teignmouth: over 175 men from the town lost their lives and many businesses did not survive. In the 1920s as the economy started to recover, a golf course opened on Little Haldon; the Morgan Giles shipbuilding business was established, and charabancs took employees and their families for annual outings to Dartmoor and elsewhere. By the 1930s the town was again thriving, and with the Haldon Aerodrome and School of Flying nearby, Teignmouth was advertised as the only south coast resort offering complete aviation facilities. During the Second World War Teignmouth suffered badly from "tip and run" air raids. It was bombed 21 times between July 1940 and February 1944 and 79 people were killed, 151 wounded, 228 houses were destroyed and over 2,000 damaged in the raids. Teignmouth's hospital was bombed during a raid on 8 May 1941, killing three nurses and seven patients. It was rebuilt and reopened in September 1954, making it the first complete general hospital in the country to be built after the formation of the National Health Service. A US Navy plan existed which proposed to dam the harbour and set up a seaplane base, but it was abandoned as the war turned in favour of the allies. 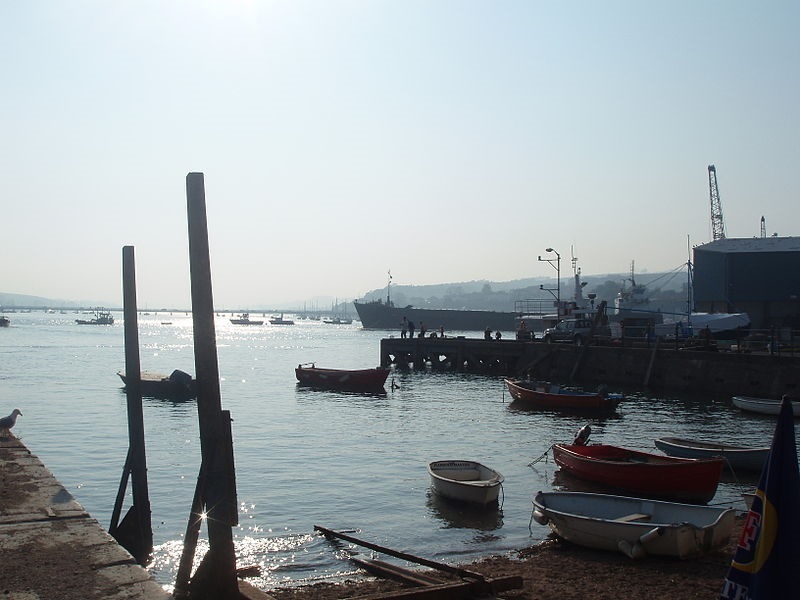 The port of Teignmouth, in existence since the 13th century, remains active, mostly handling clay, timber and grain. The Old Quay was built in the mid-18th century on land leased from Lord Clifford. The opening of the Stover Canal by James Templer in 1792 provided a boost to the port due to the ease with which ball clay could be transported from the mines north of Newton Abbot. After travelling along the canal the barges continued down the estuary to the port. By 1820 this trade was supplemented by granite from the quarries near Haytor on Dartmoor carried via the unique granite-tracked Haytor Granite Tramway which was linked to the Stover Canal. The granite to build the new London Bridge came via this route and was sent from the New Quay, which had been built for this traffic in 1821–25 by George Templer, James's son. The Old Quay was sold to George Hennet in 1850 and became the centre of his trading network. It was connected to the South Devon Railway the previous year. 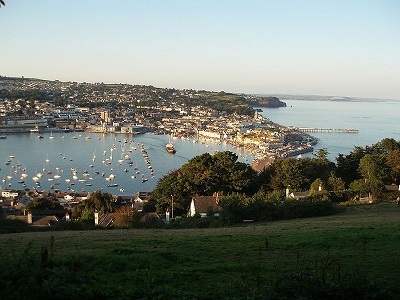 Until 1852 Teignmouth was legally part of the Port of Exeter. In September of that year, after many years of campaigning (latterly under the leadership of George Hennet), the Lords Commissioners of the Treasury agreed that Teignmouth should be independent which was the cause of much celebration. Teignmouth has a tradition of shipbuilding from the 17th century. 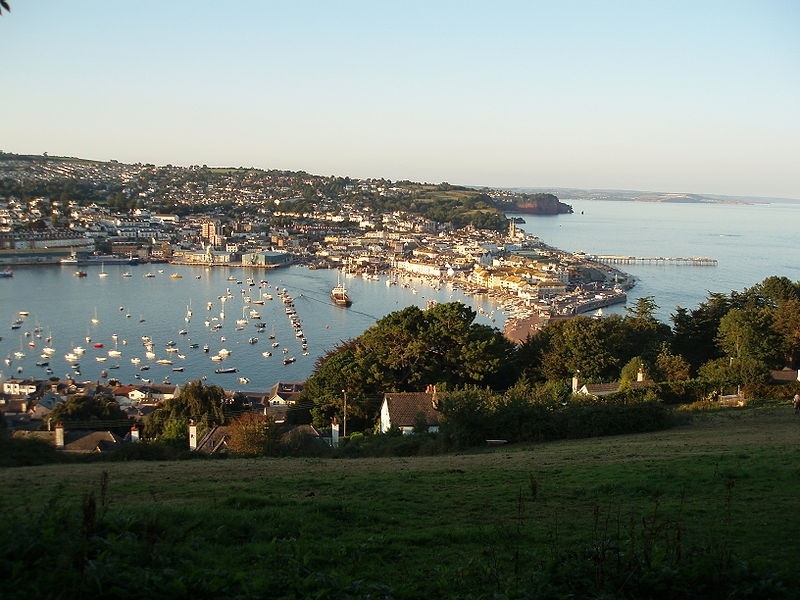 By the turn of the 19th century there were three shipyards in Teignmouth, and three in Shaldon and Ringmore on the opposite side of the estuary. The industry declined in the early 20th century, but in 1921 Morgan Giles bought the last derelict shipbuilding yard and gave the industry a new stimulus. His shipyard became a major employer, building pleasure craft in peacetime and small craft such as torpedo boats during World War II. The business failed in 1968 not long after Donald Crowhurst's attempt to sail around the world. The Shipwrecked Fishermen and Mariners' Royal Benevolent Society sent a lifeboat to Teignmouth in 1851 and kept it in a boathouse on the beach near the Custom House. In 1854 the society transferred its lifeboats to the Royal National Lifeboat Institution (RNLI). A new boathouse was provided on The Den with doors facing the harbour which was used until 1940. After a gap of fifty years, on 3 November 1990, the RNLI reopened Teignmouth Lifeboat Station with an Atlantic 21 inshore lifeboat. 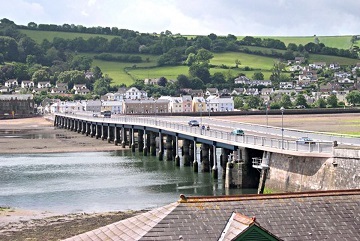 The original bridge was owned by the Teignmouth and Shaldon Bridge Company and opened on 8 June 1827. It had 34 wooden arches and was 1,671 feet long, which made it the longest wooden bridge in England when built. It had abutment walls of a considerable length at either end, and a swing bridge at the Teignmouth end to allow sailing ships to pass up the estuary. It cost around £19,000 to build, but the overall expenditure was about £26,000 due to the costs of the necessary Act of Parliament and the purchase of the old ferry-rights. Toll houses were built at each end of the bridge, and the one on the Teignmouth side survives, though now a private residence. After eleven years, on 27 June 1838 the centre arches of the bridge collapsed, the timbers had been eaten through by shipworms. It was rebuilt in wood and reopened in 1840, but it partially collapsed again in 1893. The bridge was completely rebuilt between 1927 and 1931, using steel for the piers and main girders and concrete for most of the deck, except for the opening span which used timber. Teignmouth railway station, which opened in 1846, is close to the town centre. It lies between the stations of Dawlish and Newton Abbot on the Great Western Main Line between London Paddington and Penzance in Cornwall. 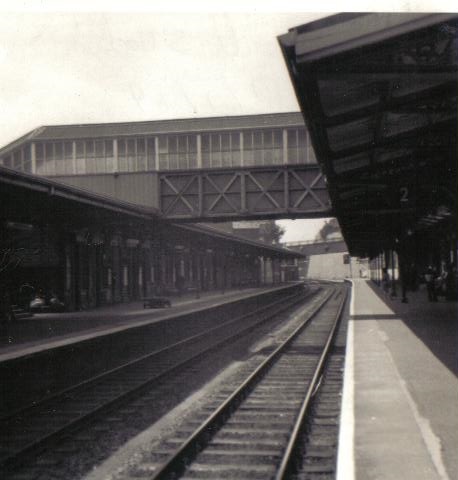 In 2010/11 it recorded 505,000 passengers, making it the second busiest station on the Riviera Line after Newton Abbot. The line built by Isambard Kingdom Brunel runs along the South Devon Railway sea wall which is a stone embankment between the sea and cliffs that runs for several miles between Teignmouth and Dawlish Warren. This line was originally both broad gauge and worked by the atmospheric system, with steam pump houses at regular intervals to create the vacuum. It was not successful for a host of reasons and was converted to normal steam locomotive working. Redundant sections of the atmospheric railway pipes were used as drains all over Teignmouth. One was set in the roadside in Woodway Lane, near Woodway House. In December 1852 a large landslip from the cliffs east of the town caused the railway to close for four days, and in 1855 and 1859 the sea broke through the line at Teignmouth. There have been many more closures since, caused both by landslips from the cliffs and breaches by the sea, especially in winter. In 2010 the sea walls and adjoining estuaries were costing Network Rail around £500,000 per year to maintain. In 1936 the Great Western Railway surveyed an inland deviation between Exminster and Bishopsteignton and a shorter route starting near Dawlish Warren, but the advent of World War 2 brought these projects to an end. The rise and fall of Teignmouth as a fashionable resort and latterly its rise again as an 'old fashioned and genteel resort' can be traced by studying a list of its inhabitants, some born here, some merely visitors. In the second half of the 18th Century one of the leading lights of the town was Edward Pellew, later Sir Edward Pellew, Lord Exmouth, who had a distinguished naval career during the war with France. As a result of his success and of other naval officers settling in Teignmouth, Thomas Luny, the celebrated Marine Artist, moved here from London in 1800, receiving many commissions from the Admiralty and Lord Pellew, building himself a magnificent house (Thomas Luny House) and dying here in 1837. 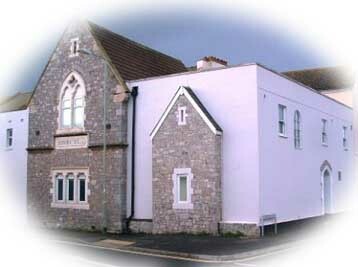 Some of his pictures can be seen in Teignmouth Museum. Another Teignmothian born in 1808 was Elias Parish Alvars. It is only in recent years that his importance has been fully realised. He was a supreme harpist and composer and was buried next to Mozart in Vienna in 1849. He is now known as the 'King of Harpist's' and is the only person to have had a harp string named after him. With the town becoming fashionable it attracted the likes of John Keats who brought his brother Tom on a recuperative holiday. Although the weather was unkind he is reputed to have penned part of Endymion while here. Charles Babbage 1791 - 1871 the father of the computer was also seduced by the charms of Teignmouth making his home here for some time. Sir Arthur Conan Doyle spent some time in the town in 1818. More recently the well know concert pianist Moira Lympany was born here, while John Harvey Jones chairman of ICI and the BBC's 'Trouble Shooters' spent many happy childhood holidays at his grandparents' home and more recently still Andrew Motion, the Poet Laureate, used to bring his family here on holiday. In 1968 Teignmouth was the centre of national interest when Donald Crowhurst set off sailing solo around the world. Little did anyone know that the voyage was an intended hoax, nor did Donald Crowhurst know it would lead to his death. Teignmouth Museum has his story in full. Webmasters Note: In about 1944, aged 2+ I somehow managed to ‘escape' from my Grandfathers bungalow on Broadlands (‘The Retreat’ - white one now extended to two-story) cross the bridge , pass through the toll gates without paying and got lost in Teignmouth! It’s a mystery to this day how on my little hobby-horse and I managed it!